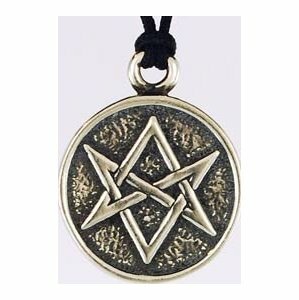 Though not as famous as the Pentagram, the Hexagram has been used as a magical symbol for thousands of years as a form that can act as a portal to the spirit world. I have gotten this. Although I was about to use it, I have lost it. It is a nice thing though, to wear around your neck..